Cody Rhodes Is Planning The Biggest Indie Wrestling Show Ever. Can It Work? 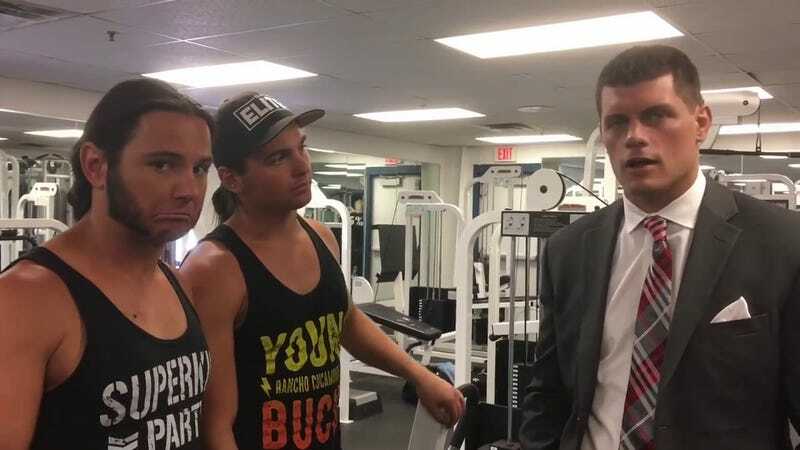 On Monday evening, Pro Wrestling Sheet’s Ryan Satin reported that Cody Rhodes and The Young Bucks (Nick and Matt Jackson) are planning an imposing project for 2018: An independent wrestling supershow on the scale of a major WWE event. These three are arguably the biggest non-WWE draws in the United States and Canada, and if any trio can fund their own wrestling event in a major, 10,000+ seat arena and sell the place out, it would be them. This all would have sounded laughable just two years ago, back when Rhodes was wasting away in WWE and the Bucks were not quite the sensation they’ve become, but is now anything but. The idea has been percolating for about six months, showing up in fans’ consciousness after a back and forth between Rhodes and Wrestling Observer Newsletter editor Dave Meltzer when the latter answered a reader’s Twitter question. And now, as Rhodes confirmed in a tweet, it’s on its way to becoming a reality. “It was just my sense being on the ground,” Rhodes told Deadspin. “Doing four unique independents a week, and then finally seeing how at the ROH event fans react to us as a group. I really see the sport trending upwards. It’s our job to leave it better than how we found it and push that needle the best we can.” The actual ceiling for a non-WWE card in the United States is an unknown right now, but with both independent wrestling and ROH (which is owned by Sinclair Broadcasting) booming, this is probably the right time to try such a venture. The exact impetus for the indie boom resolves to a mix of factors, but the Bullet Club, a group that includes Rhodes and the Bucks, is absolutely part of it. Starting as a stable of heel foreigners led by Finn Balor in New Japan Pro Wrestling in 2013, it turned into something different and much bigger after he left for WWE a year later. A.J. Styles, who was then turning into wrestling’s biggest indie draw, started with NJPW not long after Balor left, winning their world title in his first match with help from the Bullet Club and becoming the group’s new leader. Around this time NJPW, which was already in a business boom at home after a years-long slump, started getting renewed western attention. Their major shows were being made available legally worldwide for the first time, which came after a few years during which western access to Japanese wrestling bootlegs was at an all-time low. NJPW also started co-promoting with ROH in addition to making a merchandising deal with Chicago-based Pro Wrestling Tees. Bullet Club shirts became more and more noticeable at wrestling events all over the world, regardless of the promotion. Today, it’s fairly common to see large swaths of them at WWE events. The least surprising thing about indie wrestling’s surge is how reasonable it has all seemed. Social media has become enough of an asset to smaller promotions to create a leveling effect, WWE’s NXT brand is being remade in ROH’s image, and WWE has conditioned more and more fans to be willing to travel long distances for wrestling; factor in a dramatic uptick in the baseline talent level across the whole business, and the indie wrestling boom makes perfect sense. As the Bullet Club became more and more prominent, they drew attention to the scene in general. That led to the chain getting in touch with Pro Wrestling Tees and making deals for both Young Bucks and Bullet Club shirts. Since the shirts hit stores, they have routinely been at the top of the Hot Topic website’s “Hot Sellers” page and it’s been reported by Meltzer that Bucks shirt sales in general are “way ahead” of WWE gear at the mall chain. That’s skewed by the former being a destination item at the stores, but it’s impressive all the same. Rhodes’ path through the independent scene has been a unique one. Wrestlers leaving WWE, whether by their own volition as Rhodes did or after being cut, and having a lucrative indie run is pretty common. More and more, though, wrestlers looking to pull off that pivot need to be good fits for the fast-paced, ultra-athletic style dominating the scene. Cody had been floundering in WWE for a while, because of how he was being positioned as much as anything else, and finally asked for his release. 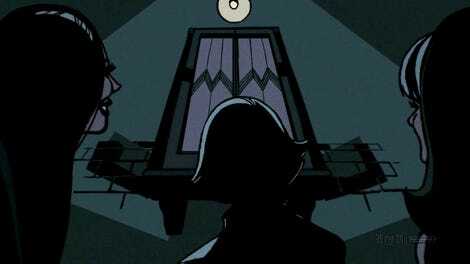 His Twitter accounts, which had been split into a gimmick account for his “Stardust” character and a personal one that was well known to be his but technically anonymous, were consolidated, and he immediately started leveraging social media as vigorously as he could. He revealed that he had a to-do list of things he wanted to do on the indie scene—certain wrestlers he wanted to work with, appearing in Pro Wrestling Guerrilla’s Battle of Los Angeles tournament, and the like—and quickly created a demand that hadn’t necessarily existed before. Everyone knew that Rhodes was talented, but there was no apparent public fervor to see how he would do outside of WWE until he created it out of nowhere. There was an established path to making that work, though. Drew McIntyre, for instance, had been fired by WWE and was in a similar situation, but quickly became an in-demand name by tearing it up in an assortment of great matches. Rhodes, meanwhile had one of the great family names in wrestling history and a much bigger peak push in WWE, even if it was years earlier. His social marketing campaign, combined with his addition to the Bullet Club months later, made him a much bigger star, to the point that he became the biggest individual independent draw even before signing with ROH a few months ago. Throughout the whole indie run, Rhodes took his status seriously, making a point of acting as a locker room leader and generally drawing high marks from his peers for his professionalism and his advocacy for independent wrestling as a whole. Indie shows are drawing bigger crowds than ever before and ROH drew 3,500 fans for this year’s WrestleMania weekend and is aiming higher for the 2018 show, so it’s easy to see why Rhodes and the Bucks are taking this shot. That said, it won’t be easy: No non-WWE pro wrestling promotion has drawn 10,000 fans in the United States since WCW closed in 2001. That mark has only been hit by a few promotions worldwide in that same period, primarily in Japan and Mexico, along with some one-off’s like the Ultimate Warrior’s 2008 retirement match in Barcelona. All Pro Wrestling’s recent cards at the old Cow Palace in San Francisco have drawn in the 2,500 to 3,000 range, as have the last couple iterations of Northeast Wrestling’s annual Wrestling Under the Stars event, all of which were built around main events with Rhodes and/or Rey Mysterio. Some European promotions have draw crowds in that range, as well, like Scotland’s Insane Championship Wrestling. The non-WWE/Mexico/Japan high-water mark in the last couple years appears to be the Fight Forever show from the Wrestling Superstar promotion in Santiago, Chile, which drew 7,000 fans in August 2016. Like the WrestleMania weekend 2017 ROH show, it was headlined by the Bucks and Matt and Jeff Hardy. England’s PROGRESS Wrestling will be running a show at Wembley Arena in London in a year, and as a destination promotion it should do well, but it’s hard to know right now exactly how well it will do. All of which is to say that the Rhodes/Young Bucks show amounts to a moonshot. Lucha libre cards promoted in Spanish-language media can also draw in the low to mid four figure range, and have historically been the most consistently drawing U.S. indie shows. It’s not always easy to track them, though, as they’re often promoted entirely through traditional local media, escaping the attention of both English-speaking locals and even those who report on that scene online. “As we formulate a big four matches, there should definitely be a lucha presence involved,” Rhodes told Deadspin, though he added that he doesn’t want the show to be “about just bringing in random names” because “that would dilute my initial bet with Dave.” Depending on where the Rhodes/Bucks show is held, some kind of lucha presence, even if it’s just Mysterio, might be necessary to maximize and broaden the demographic appeal. But while Mysterio is a proven draw, he also charges probably the highest per-match rate of any independent wrestler, though lots of indie wrestlers will give big discounts to friends and fellow performers. There has never been an undertaking quite like this before in American independent wrestling, and how it works out should serve to answer a lot of questions. Just how many indie fans are there, and how many are willing to travel? Can the significance of the event as a watershed moment for independent wrestling turn it into a grassroots draw the way that the Japanese indie DDT’s annual event at Sumo Hall did? Just how threatened is WWE by the independent scene right now? It will be a while before we know, especially since the show isn’t event booked yet. But getting there should be interesting to watch. David Bixenspan is a freelance writer from Brooklyn, NY who co-hosts the Between The Sheets podcast every Monday at BetweenTheSheetsPod.com and everywhere else that podcasts are eavailable. You can follow him on Twitter at @davidbix and view his portfolio at Clippings.me/davidbix.